To this day, “Willy Wonka and the Chocolate Factory” remains one of my favorite films of all time. It’s a timeless classic with memorable characters, enchanting scenery and unforgettable music. 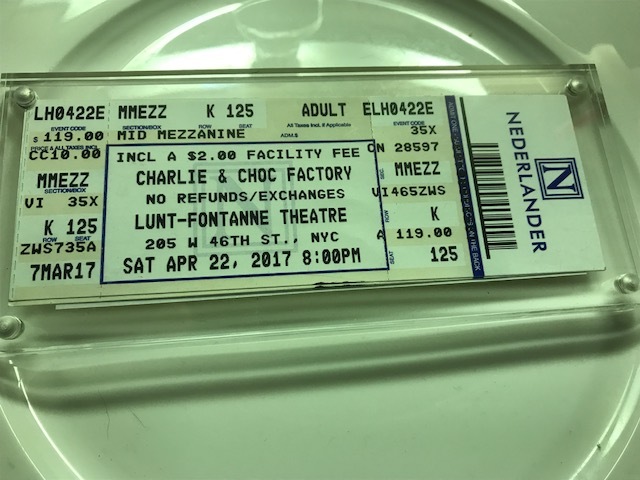 When I heard that Broadway was debuting a “Charlie and the Chocolate Factory” musical based on the books of Roald Dahl, I snagged up a golden ticket as soon as I could. Upon arriving at the theater, I was in heaven. 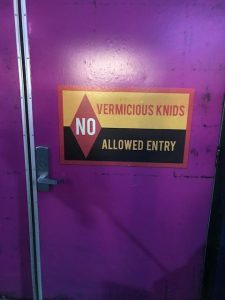 Nods to oompa loompas, vermicious kinids and naughty children were colorfully sprinkled via decorations just beyond the front doors. Once inside, I realized just what a smart move putting “Charlie and the Chocolate Factory” on Broadway was. The theater has several unique Wonka-inspired candy counters that will give anyone with a sweet tooth a reason to buy a one-of-a-kind concession. 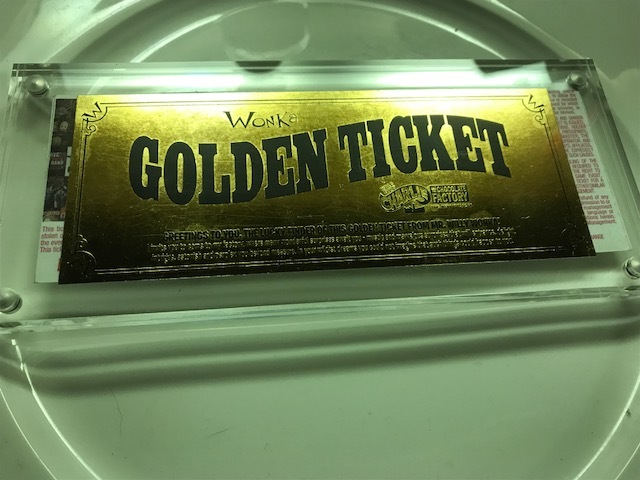 Also worth noting, probably one of the most genius merchandising ideas I’ve ever seen, a beautifully sealed golden ticket. Now the reason this idea is so clever it that it doubles as a place to hold your actual ticket from the show as a souvenir. Yes, I bought one. How could I not? There are also nods to the more recent Johnny Depp film, such as Wonka’s more modern costume and how squirrels lead to Veruca Salt’s demise. 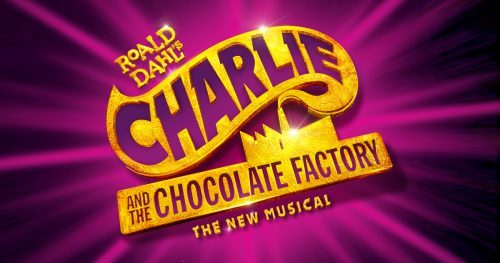 What I was pleasantly surprised about was how “Charlie and the Chocolate Factory” updated the story for modern audiences. Mike TV? Yea, he’s moved on to iPads now and is all about surfing the web. However, there were some other tweaks to the story that I thought were quite clever. You’ll even see new scenes not featured in any of the Wonka films. 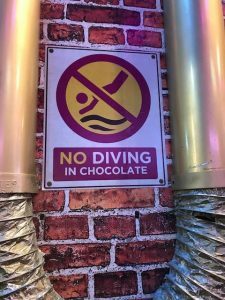 For example, in the Broadway version of the show, Willy Wonka plays double-duty as a candy shop keeper who is on the lookout for a special boy or girl who he can hand the reigns of his candy making empire over to. Charlie befriends the candy store owner from the very first scene and that bond can be seen throughout the entire show which, for me, gave more depth to their characters. 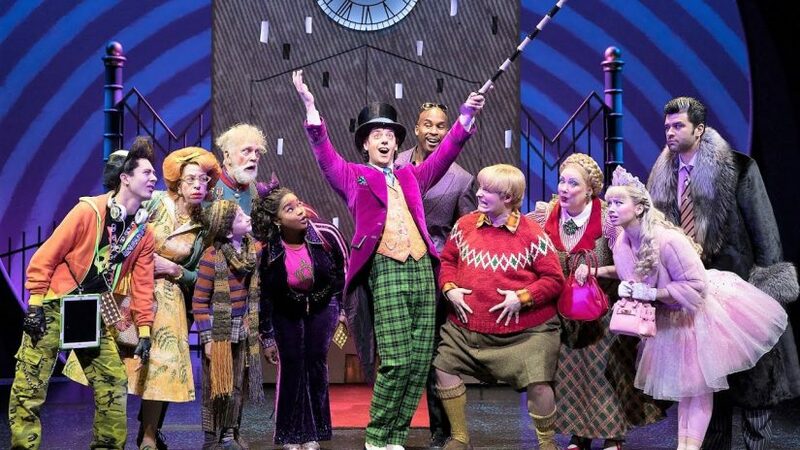 The sets and effects didn’t disappoint, from how they created the various parts of the Wonka factory, to a few magic tricks thrown in for flair. If I had one complaint is that the soundtrack isn’t memorable. While it works for the show, I don’t see myself ever wanting to own it and listen to it on repeat at home. 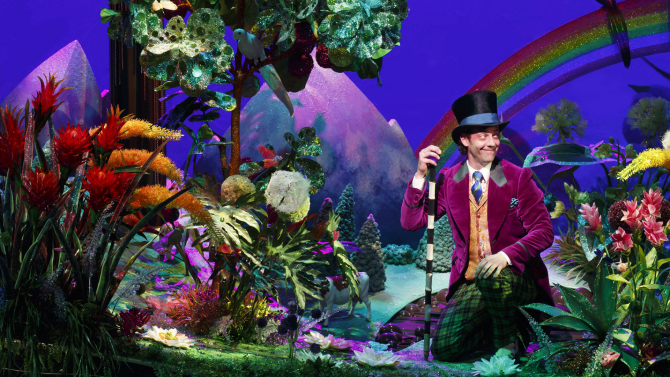 That said, would I see “Charlie and the Chocolate Factory” on Broadway again? Yes, I absolutely would and if you want your own golden ticket, grab them by following this link. 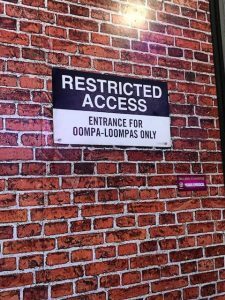 This entry was posted in Outside The Parks and tagged Broadway, Charlie and the Chocolate Factory, Roald Dahl, Willy Wonka. Bookmark the permalink. Trackbacks are closed, but you can post a comment.